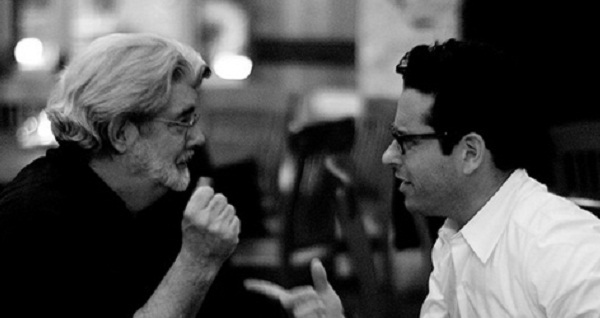 Do you remember where you were when you heard J.J. Abrams is directing the new Star Wars movie? A few weeks ago the news came that new Star Wars movies are coming. Since then, there has been a lot of speculation who would be directing Star Wars Episode VII. On Friday, StarWars.com released a statement confirming that J. J. Abrams will direct Star Wars VII, due in 2015. "J.J. Abrams will direct Star Wars: Episode VII, the first of a new series of Star Wars films to come from Lucasfilm under the leadership of Kathleen Kennedy. Abrams will be directing and Academy Award-winning writer Michael Arndt will write the screenplay. "J.J., his longtime producing partner Bryan Burk, and Bad Robot are on board to produce along with Kathleen Kennedy under the Disney | Lucasfilm banner. "Also consulting on the project are Lawrence Kasdan and Simon Kinberg. Kasdan has a long history with Lucasfilm, as screenwriter on The Empire Strikes Back, Raiders of the Lost Ark and Return of the Jedi. Kinberg was writer on Sherlock Holmes and Mr. and Mrs. Smith. There have been a lot of reactions to the news. Aside from the inevitable (and played out) lens flare jokes, most people are excited and happy about it. To many, the debate about whether the new Star Wars movie would be good or bad is over. It's like Star Trek 2009 was a resume for Star Wars. One thing's for sure. He is now the ultimate power in the galaxy of geekdom. Let's hope he never makes Avengers 3. That's too much power for one man to have. What about you? How did you react to the news that J.J. Abrams is directing the new Star Wars movie? Which Rumored Director Should Make the Next Star Wars Movie? So what happens to Star Trek then? There's no way he can do both at the same time. I'm mixed. Rather he focused on Star Trek. Hell yes I reacted. I think the film is in good hands. I was on FB. I hope Star Trek doesn't suffer because of it. I just loved what he did with Star Trek. I don't want to lose Joss Whedon's perspective in geekdom either. Theres no simple way to put this. J.J. is stepping back from Trek. He'll be great for Star Wars. I guess Star Trek's success was too good to be true. MPax, if we lost Whedon all is lost. Rollo, he's the one director everyone agrees will do it justice. Alex, I hope he's good at multi-tasking.